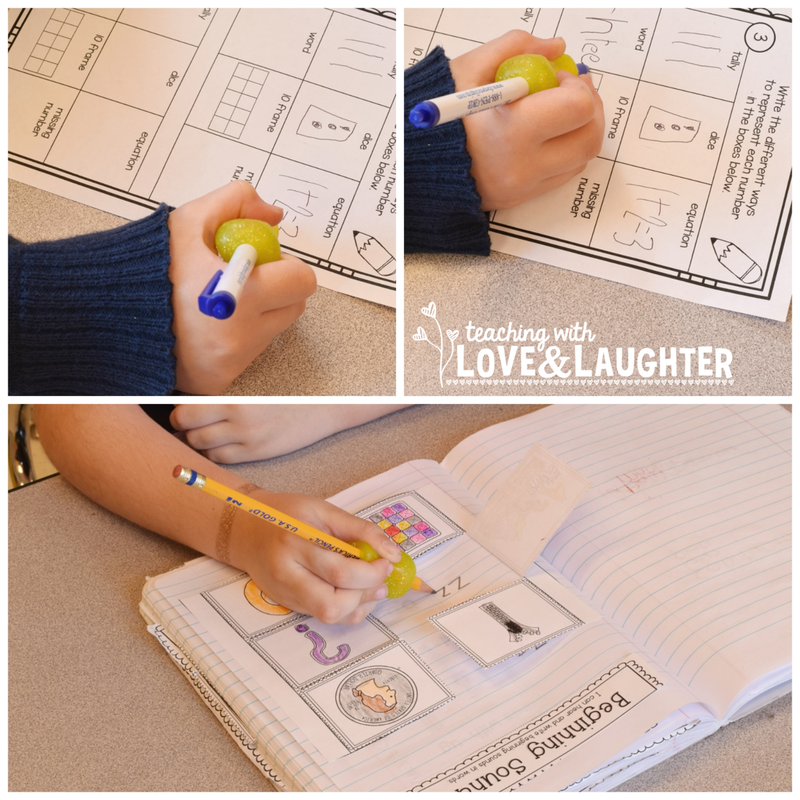 Teaching With Love and Laughter: Pencil Grip Review and Giveaway! Pencil Grip Review and Giveaway! Making sure our students hold their pencils properly is something that all teachers struggle with. Some are born naturals, but many students have a hard time learning how to hold their pencil properly and they come to us with their bad habits already in place. 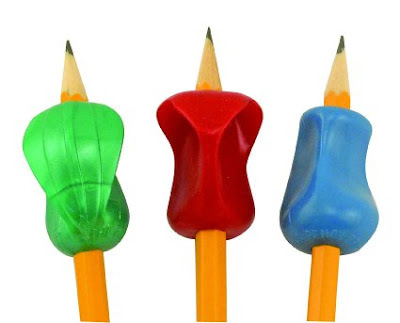 I've tried several different types of pencil grips over the years, and my biggest complaint about them is that they are too rigid and uncomfortable for every day use. Recently, I was asked to do a review (and giveaway!) on pencil grips from The Pencil Grip, Inc. I was excited to try them out because they have several different varieties and each one serves a specific purpose. I love to differentiate learning, so why not differentiate my pencil grips! I was given three different grips to try out. The Crossover Grip, The Pinch Grip, and The Pencil Grip. They are sold separately, or in a convenient training kit. This grip has comfortable wings, which prevent fingers from crossing over. My models thought this grip was super comfortable and fun to use. One little girl commented that her fingers felt like they were in a pocket! This grip is a transitional grip. 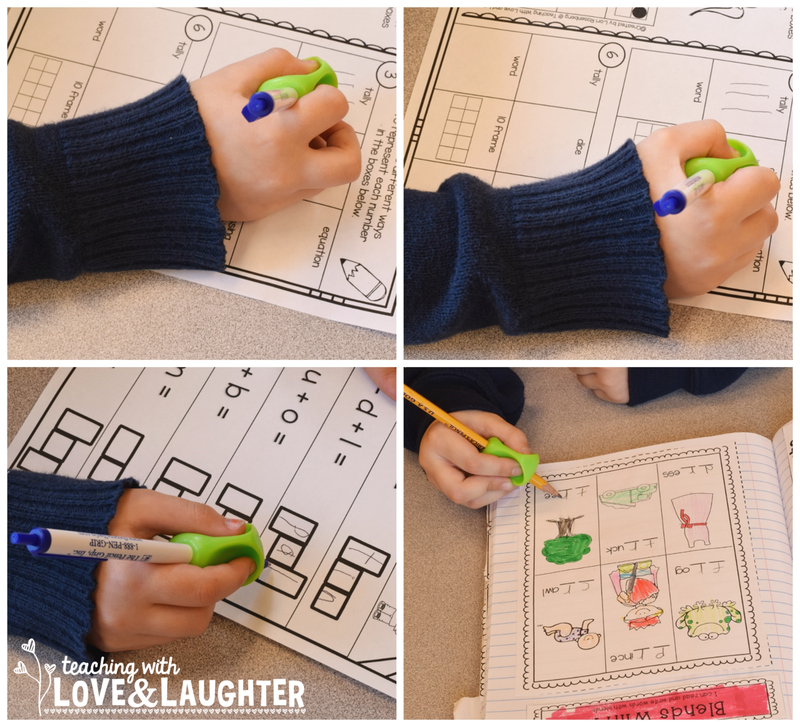 It's not as structured as The Crossover Grip, but still provides needed support and control to help improve handwriting. It's soft and flexible and definitely did it's job of keeping the fingers in the proper position. This grip is the one recommended for extended use. It's easy to use and super comfortable. My models were very excited by the fact that this grip had a glittered look to it. This grip does it all! It reinforces proper hand positioning, improves control, and reduces hand fatigue. As someone who has arthritis in her thumbs, I have started using this grip regularly, and have noticed a difference in my writing and have even gotten some relief from the pain. The Pencil Grip, Inc is dedicated to helping parents, teachers, and therapists find unique, motivational, and innovative resources. Click here to find some really helpful downloads like instructions on how to use the grips, a chart of correct and incorrect pencil grips, and more! You can also follow them on pinterest, for more helpful hints and ideas. 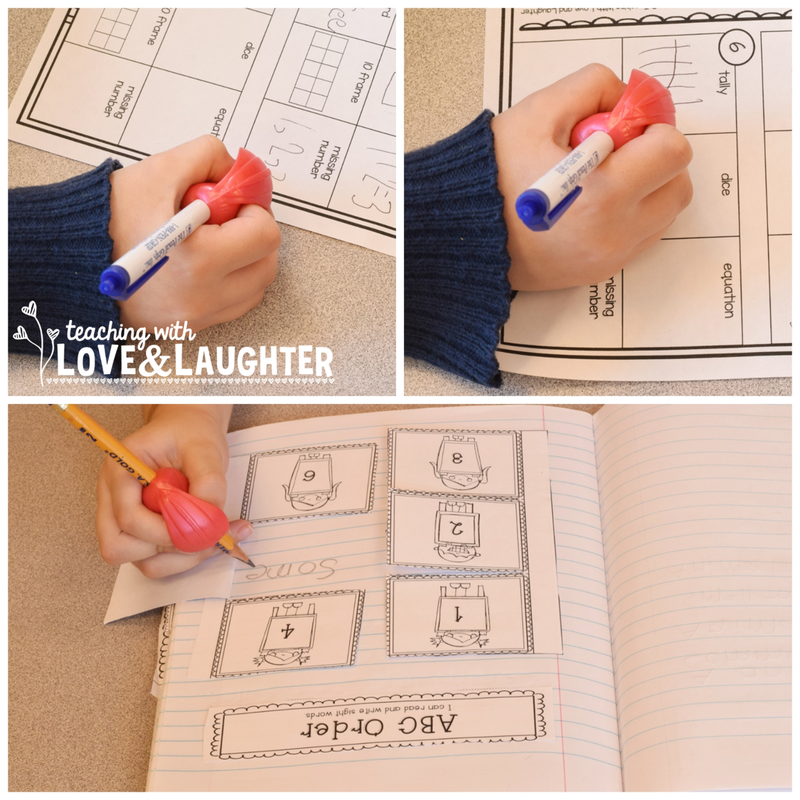 Click here to follow their pencil grip board. The pencil grips I tried come highly recommended by me and my student models. We know that you'll enjoy them as much as we do. You can check them out for yourself on their website here. You can also order them from Amazon here. The Pencil Grip, Inc, is giving me an opportunity to choose 3 lucky followers to win a 3 Step Training Kit, which contains the 3 grips I reviewed in this blog post. Just enter using the rafflecopter below. I've given you lots of opportunities to increase your chances of winning. Just pick and choose the options you prefer! But, please remember to enter with integrity, as all winners will be verified. Thank you and good luck to you! Neat giveaway! I have a few that could definitely benefit from these! I have a couple of boys who could really use those pencil grips. These pencil grips look great! I'm always searching for new grips to help my students! Thanks for the giveaway! These grips should be named the miracle workers!! Our school is always looking for new grips to try. This would be great to share with everyone!!! I have 'acquired' several Grade 2 students this year with poor grip habits - one in particular whose writing is illegible and he is losing confidence to write as a result. It breaks my heart to see kids struggling with confidence, simply because they haven't received the support they need to develop such a simple skill. Some pencil grips would help to build the confidence of these kiddos and I'd be super grateful if given the opportunity to try them out. Was recently introduced to the "crossover grip" and like it a lot better than the old kind of grip I used to use with kindergarten kids. It's much easier for them to hold and use effectively. I am a big fan of pencil grips in my classroom. I love the variety of these grips because I can choose which grip would work best for the students in need. This is great! I have a few students who would benefit from pencil grips! I have some students who would really benefit from these pencil grips! Thanks for the opportunity! I definitely have a few second graders that could benefit from these pencil grips! Don't you feel as though proper handwriting techniques and strokes has taken the back burner? Ugh.....a skill that does not need to be forgotten!